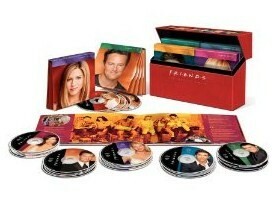 Friends: The Complete Series only $89.99 w/ Free Shipping! I know there's still some Friends fans out there! If you know one, here's a great gift idea! Right now on Amazon, you can get Friends: The Complete Series Collection for only $89.99! This is selling for $100 at Walmart.